Mesut Dinçer, a former court clerk dismissed and later arrested by the Turkish government over coup charges, has died of multiple sclerosis (MS) several weeks after he was released from prison pending trial, the TR724 news portal reported. 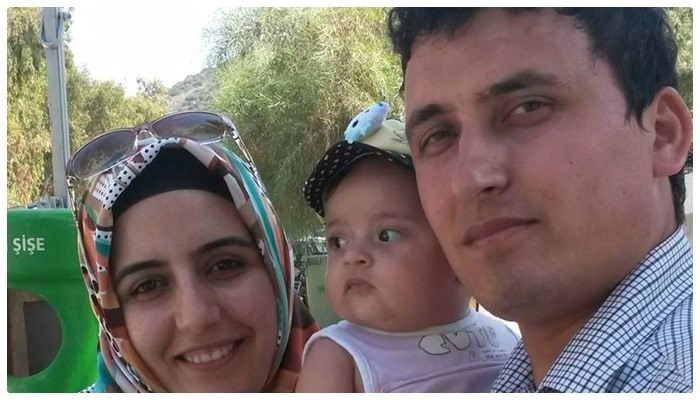 Dinçer was dismissed from his job after a coup attempt on July 15, 2016 and subsequently put in pre-trial detention on allaged membership in the Gülen group which is accused by thr government of masterminding the failed attempt. After spending some 3 months in prison, Dinçer was released pending trial. Several months after his release, Dinçer reportedly died on January 10 of multiple sclerosis, a demyelinating disease in which the insulating covers of nerve cells in the brain and spinal cord are damaged. This damage disrupts the ability of parts of the nervous system to communicate, resulting in a range of signs and symptoms, including physical, mental, and sometimes psychiatric problems. Turkish Interior Minister Süleyman Soylu said on Dec. 12 that 55,665 people had been jailed and 234,419 passports revoked as part of investigations into the Gülen group since the failed coup. Minister Soylu on Nov. 16 said eight holdings and 1,020 companies were seized as part of operations against the group. The Ministry of Justice plans to build 228 new prisons with a capacity of 137,687 in the next five years.